ABC News, WPVI-TV and the National Constitution Center. (CBS) Most students attending four-year colleges and universities in Pennsylvania are enthusiastic about voting in the presidential campaign, according to a poll conducted by CBS News and UWIRE, and Barack Obama is the overwhelming favorite among those who intend to vote in the Democratic primary. Among Pennsylvania students who will vote or have voted in a Democratic primary in any state, Obama leads Hillary Rodham Clinton 71 percent to 28 percent, and among those who intend to vote in the Pennsylvania primary, Obama leads by a nearly identical margin of 71 percent to 29 percent. Support for Obama is consistent across types and sizes of schools. Pennsylvania college students also say that John McCain has the experience a president needs and think he would be an effective commander-in-chief. The level of enthusiasm and interest in the campaign is high and exists among freshman and seniors, men and women and in various public and private institutions across the state. Nearly nine in 10 students attending four-year colleges and universities in Pennsylvania who registered to vote in any state are paying attention to the 2008 presidential campaign, including 42 percent who are paying a lot of attention. Those numbers aren’t as high as voters of all ages nationwide, of whom 60 percent said they were paying a lot of attention in a CBS News poll conducted in March. Fifty-six percent of registered Pennsylvania college students described themselves as very enthusiastic about voting for president in 2008, while 31 percent said they were somewhat enthusiastic. Only 23 percent agree – even somewhat – that things will be the same no matter who is elected president. Looking ahead to November, Pennsylvania college students prefer either Democratic candidate over presumptive Republican nominee John McCain. 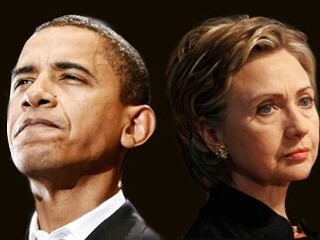 In an Obama/McCain match-up, Obama leads by an overwhelming 71 percent to 29 percent, and if Clinton is the Democratic nominee, she leads McCain by a smaller margin of 58 percent to 42 percent. UWIRE is a news service powered by student journalists at more than 800 colleges across the country.